One can take many different approaches to complex problem solving and I am not willing to say that one approach is superior to another. 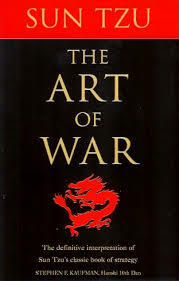 There are certain principles in Sun Tzu’s Art of War that are generally accepted by most skilled strategists, and are in alignment with my studies in Applied game Theory and Gamification. Any ordinary individual can use these ideas to be successful in competitive environments. Many experts on Sun Tzu accept that there are ten key points that can be used in most competitive situations whether in business, war or everyday human relations. I have reinterpreted them a bit and added my own spin to using the concept of teams or groups to replace Sun Tzu’s concept of armies. A strategist must have a goal and the means for assessing and comparing key factors. Here Sun Tzu focuses on the following five fundamental factor. (a) The end result you seeking. (b) The climate – specifically the weather and the seasons. (c) The physical environment you are competing in specifically the terrain, leadership, and the managing and utilization of resources. Before anything else can take place the effective strategist must assess and compare these key points. Any deviation from this is guaranteed to produce failure. No matter how skilled an individual is, he cannot succeed in a competitive environment if the cost of winning bankrupts him. 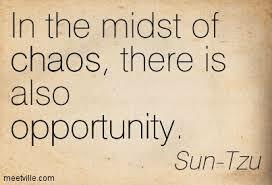 Here Sun Tzu explains the economics of competition. This includes not only the ability to assess and compare key factors while taking action, but also taking economical and beneficial action. Here Sun Tzu defines what makes a team strong or weak. Counter intuitively he minimizes the importance of size or numbers focusing more on unity, skill among team members and commonality of purpose as the primary tool of success. He also places great value on forming strong alliances with other groups against a common adversary. This strategy recognizes the power that comes from seizing opportunities as they arise rather than expending valuable resources in attempting to create opportunities. By waiting for opportunities you can more effectively defend what you already have (defending existing positions) and create an emotionally grounded, low stress environment that will more easily enable you to act at exactly the right time. This philosophy reflects the cliché that “Success happens when preparation and opportunity meet.”(see the Conversation on the Law of Attraction). When one is able to conserve one’s energy, and use it at the most appropriate time, a natural rhythm comes into play that enables one to overcome obstacles that might otherwise seem insurmountable. The formula here is: Creativity and timing = momentum. Momentum wins the battle. This is my own category title not Sun Tzu’s. In my studies in Applied Gane Theory and Gamification focused on how an individual might isolate their natural talents and skills and apply them to gain benefits at the lowest possible cost. Conversely tremendous opportunities may arise if an individual is able to isolate relative weaknesses of your opponent. as well. Maneuvering in ConfrontationSun Tzu is adamant that whenever possible it is best to avoid direct conflict even in a situation where your opponent is intent to have such a conflict come about. It is essential that one be aware of the costs and dangers of such engagement and have the essential skills to succeed or win such a confrontation when it is forced upon you (when one is between “a rock and hard place”). A Black Swan Event is what happens when something seemingly irrational, improbable and unexpected takes place with substantial consequences. The master strategist must possess a natural flexibility and enough reserve in all of the skills to respond successfully to shifting circumstances. This addresses the use of technology and the general use of circumstances and environment against an opponent. It also explores how to use technology, circumstances and environment against an attack. Here Sun Tzu discusses the importance of developing and managing good information. Lewis offers stress management programs throughout the United States that combine the great spiritual principles with applied game theory. His corporate chair massage company, eventschairmassage.com provides seated and chair massage for stress management seminars and trainings as well to special events for meeting planners and meeting professionals in New York City, New Jersey Las Veges, Los Angeles, Cleveland, Greensboro NC, Miami and Orlando Florida and other major meeting and conventions venues.